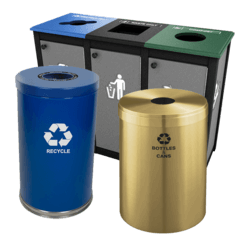 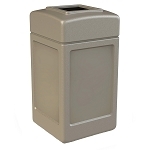 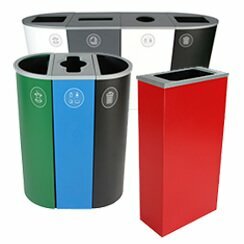 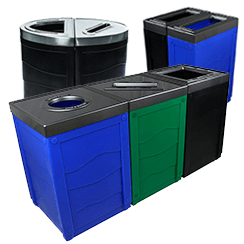 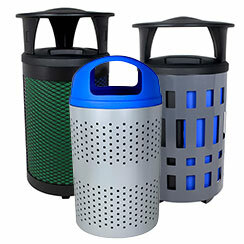 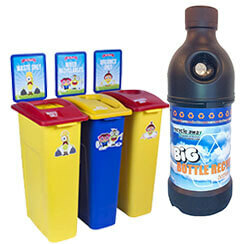 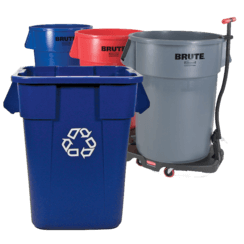 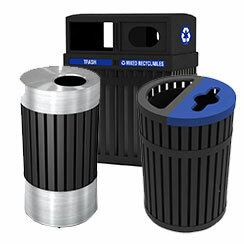 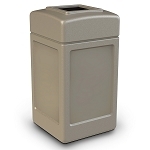 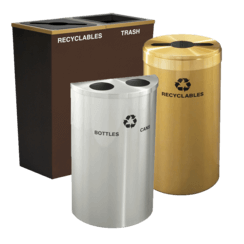 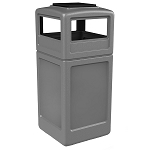 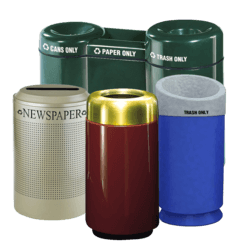 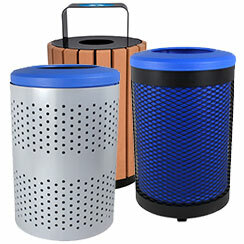 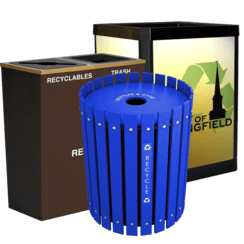 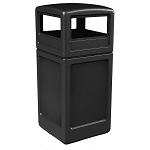 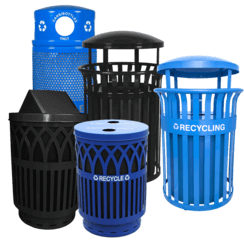 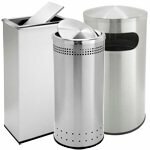 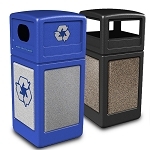 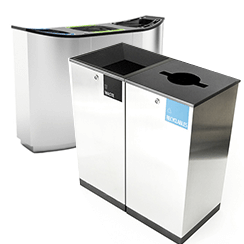 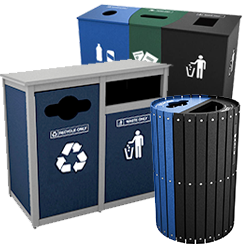 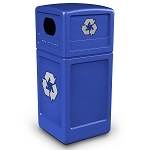 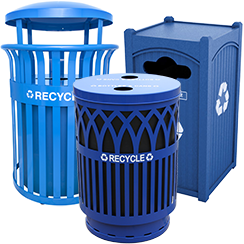 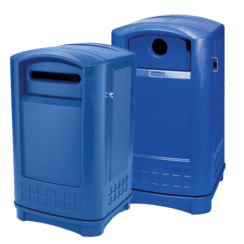 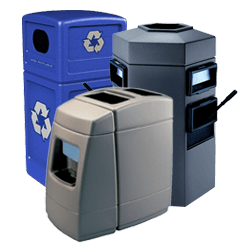 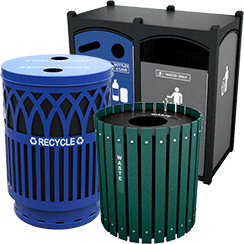 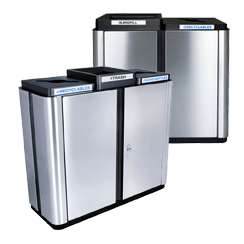 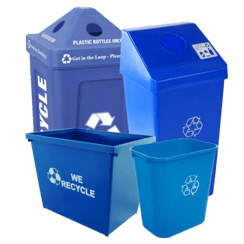 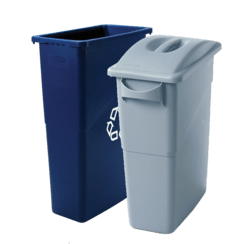 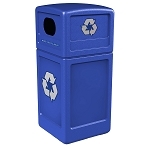 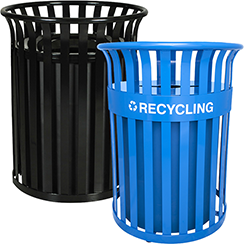 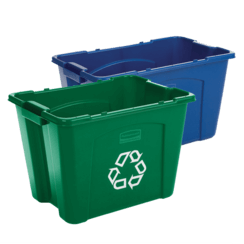 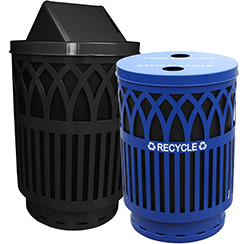 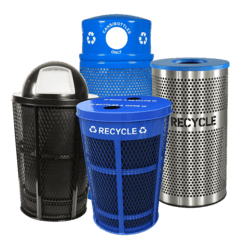 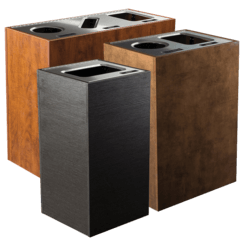 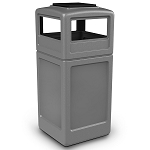 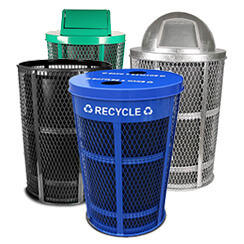 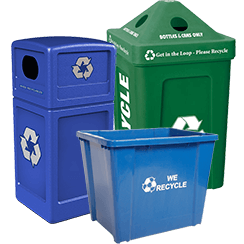 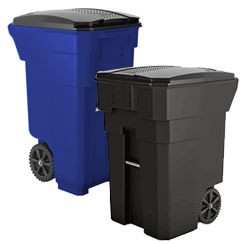 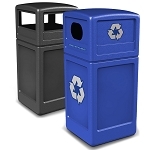 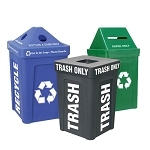 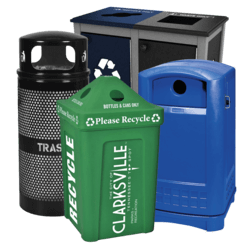 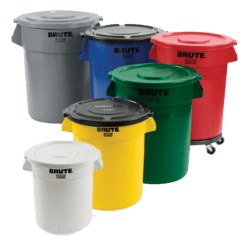 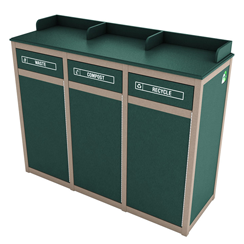 42-gallon trash and recycling receptacles with dome lids and convenient access. 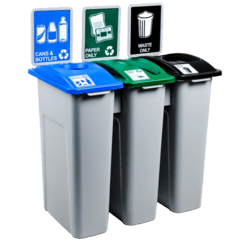 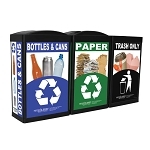 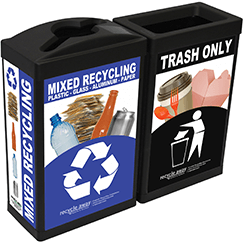 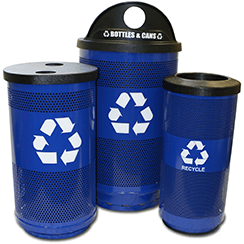 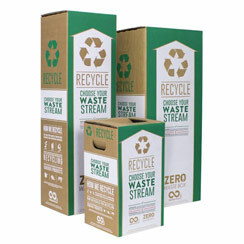 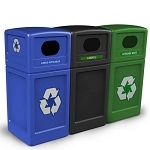 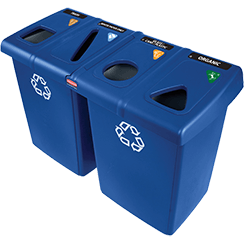 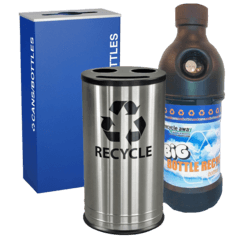 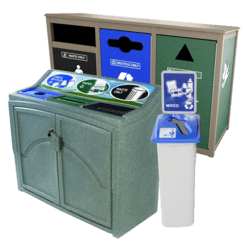 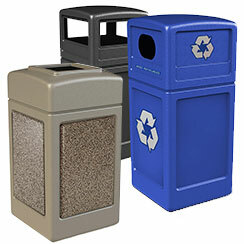 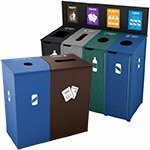 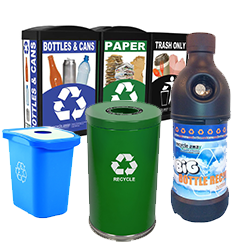 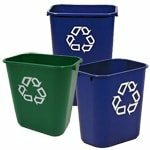 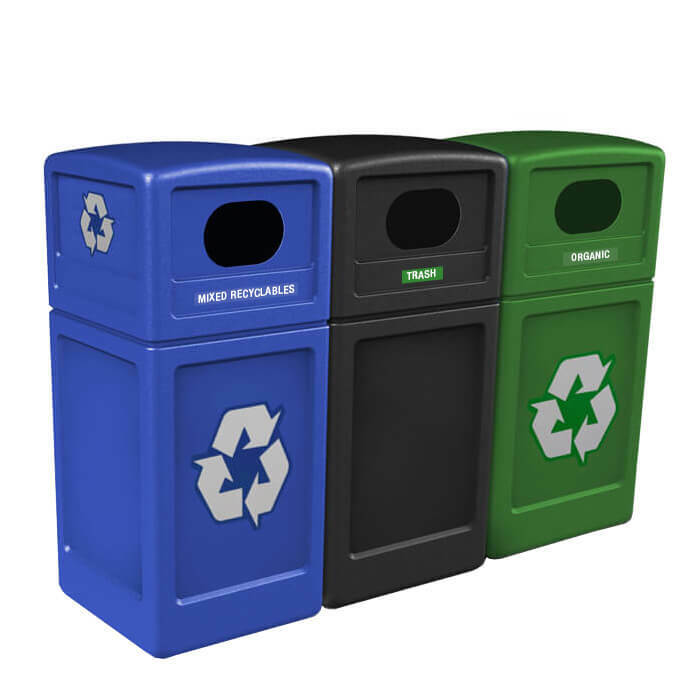 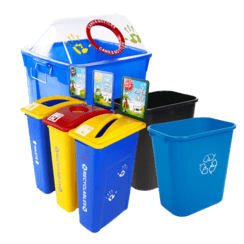 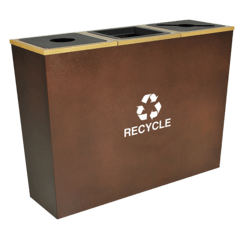 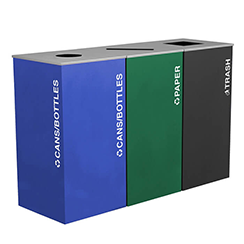 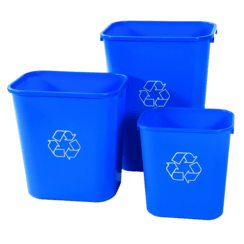 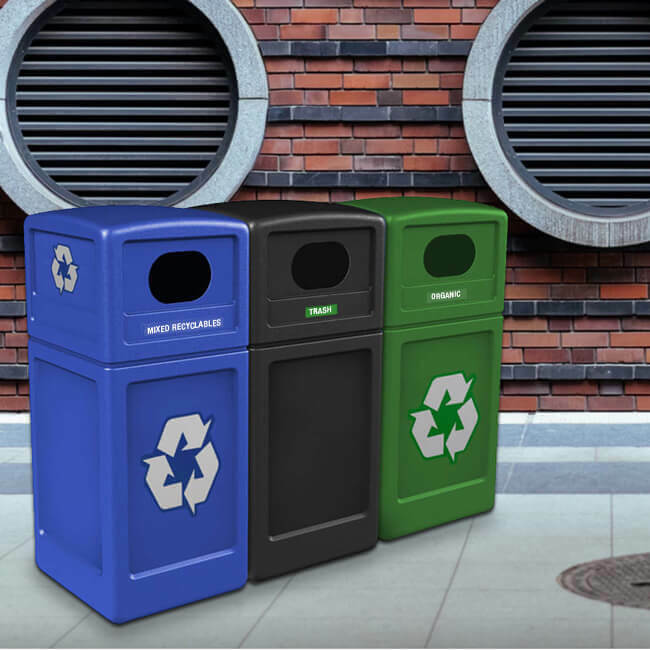 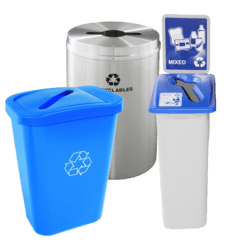 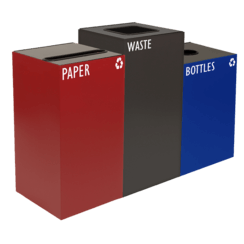 This three-stream station of 42-gallon recycling and waste containers with dome lid and customizable decals will support your sustainability program. 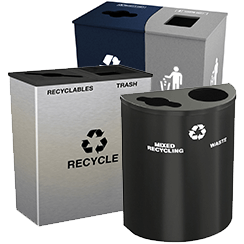 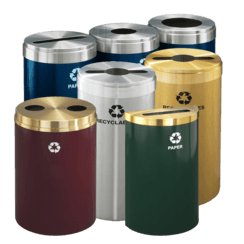 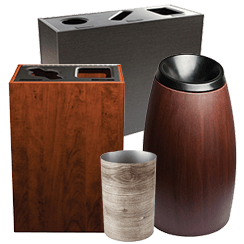 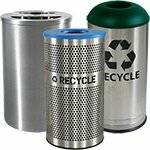 These containers are extremely durable, won't rust, dent, or chip, and are perfect for indoor or outdoor use.